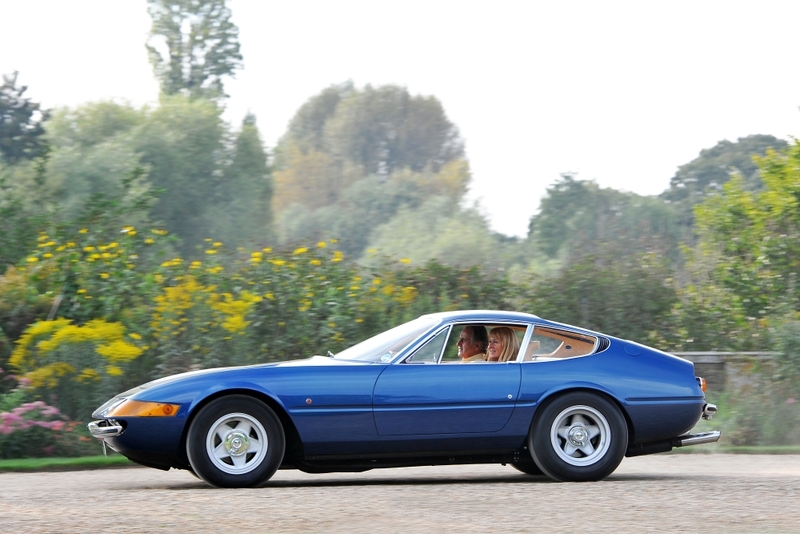 The Ferrari 365 GTB/4, better known by its unofficial name, the Daytona is one of the most desirable Ferraris today. Named ‘Daytona’ after the marque celebrated a one-two-three win at the 24 Hours of Daytona in 1967 (330 P3/4, 330 P4 and 412 P) the GT car is famed as a pinnacle of its generation. Powered by a front mounted, dry-sumped 4.4-litre V12, teamed with a rear mounted five-speed manual gearbox, due to weight distribution. This allowed for a top speed of 172 mph (making it the fastest production car of its time) as well as effortless cruising, poised handling and balance. The 365 GTB/4 was styled by Pininfarina creating a radical new look for the marque in that era, however only the prototype body was actually built by the styling house. The Daytona was as loved on-screen as it is off-screen. Famously Dan Gurney and Brock Yates drove the ‘Cannonball Run’ piloting a 365 GTB/4 in 1971 – a 2,876-mile journey taking the duo 35 hours 54 minutes. Later the car gained further fame on the hit television series, Miami Vice, which was eventually replaced by a Ferrari Testarossa.